We’d love your help. Let us know what’s wrong with this preview of Hackers by Steven Levy. 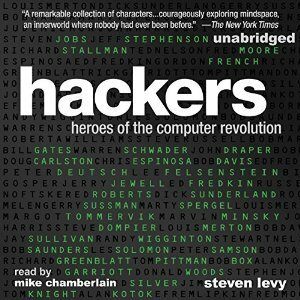 Steven Levy's classic book traces the exploits of the computer revolution's original hackers -- those brilliant and eccentric nerds from the late 1950s through the early '80s who took risks, bent the rules, and pushed the world in a radical new direction. With updated material from noteworthy hackers such as Bill Gates, Mark Zuckerberg, Richard Stallman, and Steve Wozniak, Steven Levy's classic book traces the exploits of the computer revolution's original hackers -- those brilliant and eccentric nerds from the late 1950s through the early '80s who took risks, bent the rules, and pushed the world in a radical new direction. With updated material from noteworthy hackers such as Bill Gates, Mark Zuckerberg, Richard Stallman, and Steve Wozniak, Hackers is a fascinating story that begins in early computer research labs and leads to the first home computers. To ask other readers questions about Hackers, please sign up.